Remember my post on the Yahoo! for iOS, well the company, Yahoo has gone ahead and updated the App for Android as well. Integrating the Summly, the Yahoo! App version 1.0.0 gives you the latest news on the fly. The Yahoo app is a news App adept at bringing you the the latest headlines, bringing more personalization to your news feed, quick summaries for easy reading, and viewer friendly article pages with photo backdrops. Like the iOS App once again I remind you that this App is only for news and only news so don't expect anything other than news from it. Yahoo! App promises to bring “you the best of the web in a virtually endless stream of personalized stories.” Yahoo claims that the app will learn your usage pattern and will start showing you stories that its algorithms think are relevant to you. Thus the more you watch the news relating to your interest the more easier it becomes for the App based on your usage patterns. Staying abreast with the latest news has become so important now a days after the Boston Marathon and the Earthquakes in Iran and Kashmir. 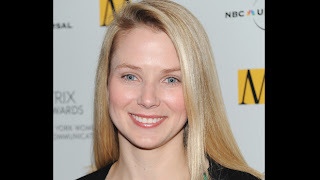 Marissa Mayer, the CEO of Yahoo! seems to have taken Yahoo to a new heights. Written off by pundits a few years ago, Yahoo seems to have reinvented itself under the CEO Mayer. Now in direct competition with Google, with this App the Yahoo! which already has messenger and weather Apps for Android adds another feather to the cap. You can download the App here from Google Play. You can also download the Messenger from the same page if you have already not downloaded it. 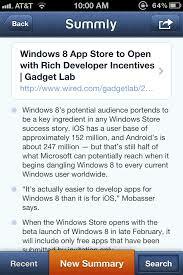 Kindly write in what you feel is good about this App and what other Apps you would like Yahoo! to deliver.